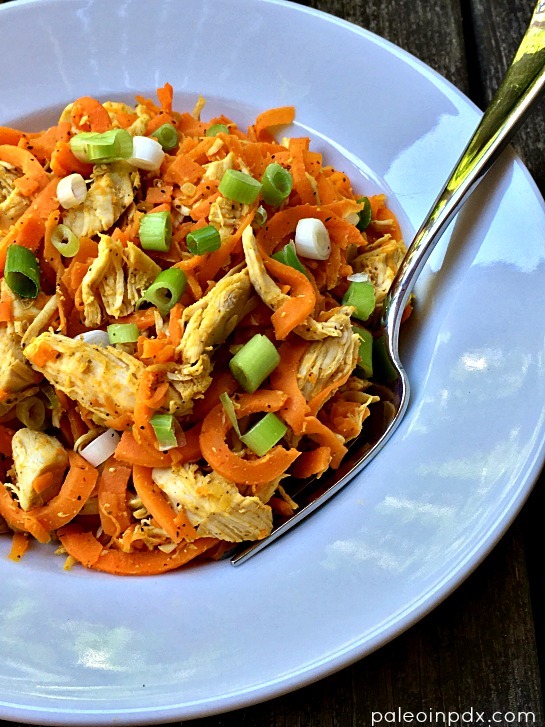 This chicken sweet potato noodle bowl is simple good and makes for an incredibly quick, healthy and easy meal. And, all in one dish too. This recipe also features homemade vegetable bouillon powder and will leave you with extra to store in your pantry. The homemade bouillon came about because I wanted a concentrated broth flavor, but didn’t want to add a ton of liquid. In my quest, I realized that there are zero high-quality bouillon cubes or powders out there (at least not that I’ve seen), so plan B was to make my own. It is super easy to make too. In a sense, this dish kinda reminds me of ramen noodles, mainly because of adding the concentrated seasoning to a bowl of “noodles.” I definitely ate my fair share of those back in the day, but who didn’t? They were super salty (and MSG-laden), brothy, quick, cheap, and yielded a huge bowl of noodles. I guess you could say this recipe is ramen noodles, but with a 360-degree, healthy turn! P.S. I went back on KATU Afternoon Live recently and shared some homemade popsicle recipes. Watch the replay of the segment HERE. Combine all ingredients in a food processor or blender. Pulse until mixture turns into a fine powder. Store in an airtight container. You may have to experiment with ratios, depending on your taste, but I recommend 1-3 tsp to 1 cup boiling water to turn this into broth. Great to use as a powder for flavor too, as seen in the recipe below. Melt butter or ghee in a large pan over medium heat. 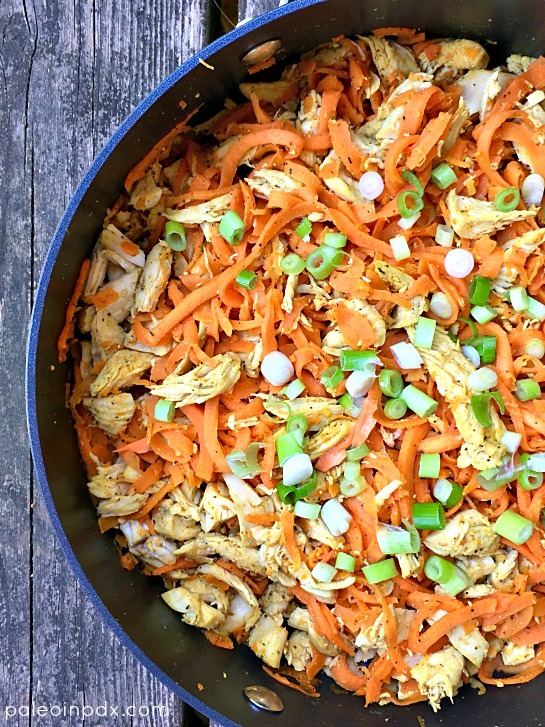 Once melted, add the sweet potato noodles and chicken. Sauté a few minutes. Next, add the homemade bouillon powder and a splash of water. Mix well to coat and sauté over medium-low a few more minutes. Add a little bit more water, if needed. Taste and season with a bit of sea salt and black pepper, if needed.